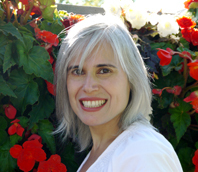 My name is Evelyn Fuertes and I am a Health & Wellness Virtual Support Specialist. I am based out of NJ, USA. I have extensive experience in the administrative field working in NYC as an Executive Assistant for almost 20 years. As a health coach and dietetics student I have a passion for health and wellness and an understanding of what is required in the industry. I am confident that my skills, abilities and qualifications align well with your needs. What I have to offer is a partnership based on professionalism. I have a strong understanding of Internet and online communication tools, I can multitask and have the ability to meet deadlines. I also have strong communications skills and pay attention to detail. As a lifelong student I am always looking for opportunities to learn.